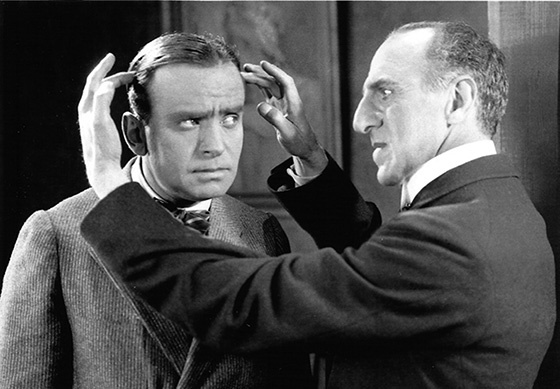 In one of his last “Coat and Tie” comedies before becoming the screen’s most dashing swashbuckler, Douglas Fairbanks plays the frantically superstitious Daniel Boone Brown, the unwitting specimen of a nefarious doctor’s hypnosis experiment. Fairbanks is as kinetic as ever, being driven literally up the walls. Enchanting and often surreal, this comedy also marks Gone with the Wind director Victor Fleming’s first feature at the helm.